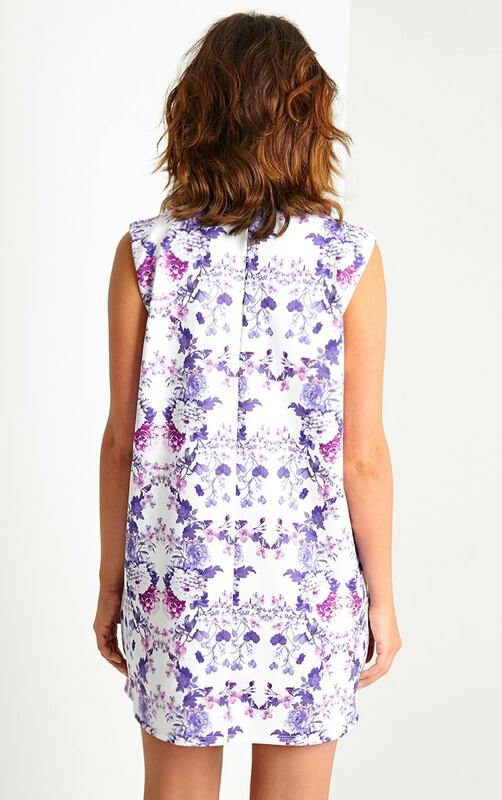 Be effortlessly chic in this dreamy floral print, loose fit shift dress. In a figure flattering scuba fabric and featuring a statement plunge neck design, this mini is a seriously edgy take on spring/summer florals. • Style Tip; This item is loose fit, for a more fitted look a size down is recommended.